Curl up in Celtic’s irresistibly comfortable cuffed clog. 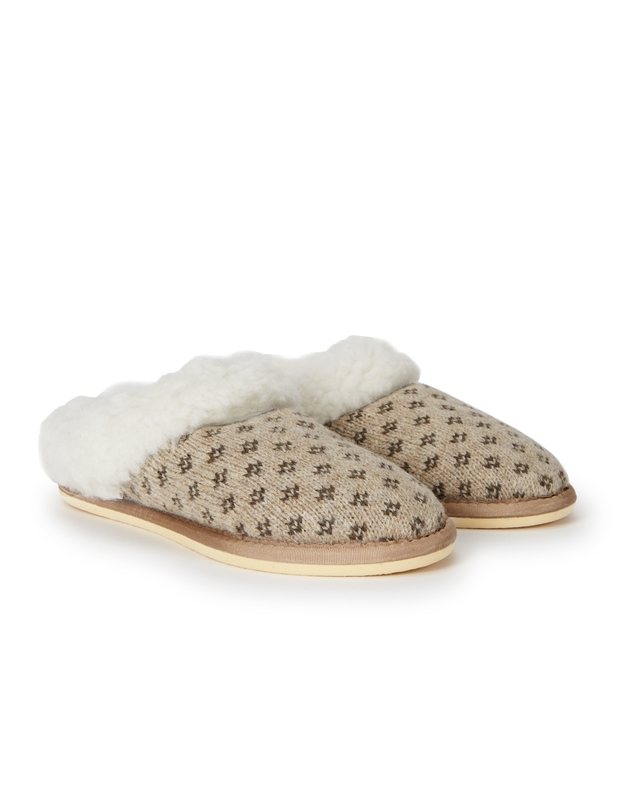 Made in Cornwall from British sheepskin with a patterned knitted lambswool outer, the easy-wear style is open enough to slip on and off with ease but wraps around the heel for extra support. Lovely and warm. Also look good with anything. The BEST pair of slippers I have ever owned . 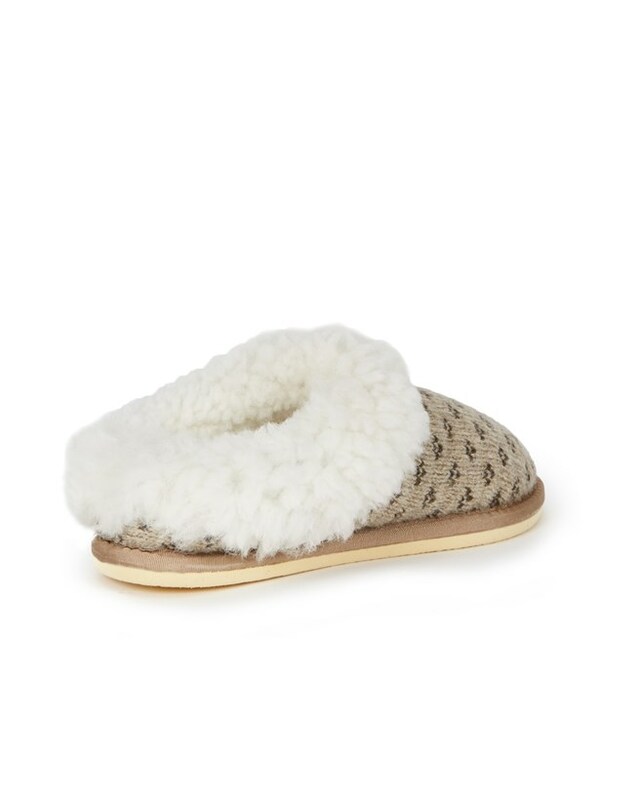 Soft, comfortable with a firm sole . The raised back gives more support. An excellent buy . So happy with the slippers. Only took a couple of days to get used to the wonderful lambs wool. Very happy feet!!!! Delivery was excellent, order on Monday delivery on Wednesday. Thank you. 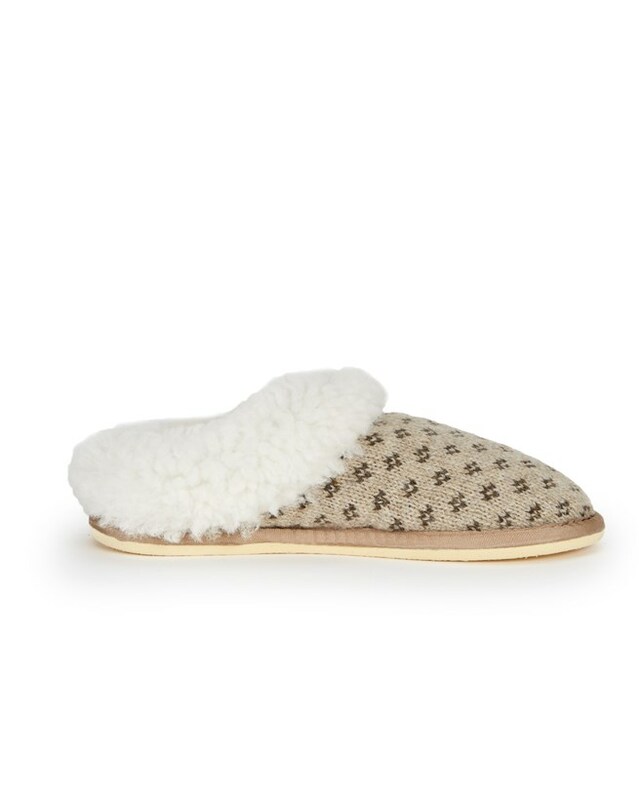 Gorgeous slippers, so cosy and comfortable, and as you stated; were snug at first due to the nature of the product, but within a couple of hours, a perfect fit.